Everyone loves Thailand beaches. The question that everyone has when booking their holidays to Thailand is which ones they should visit. Well, I have found three stunning Thailand beaches that not only will make you feel like you have found Paradise, but also aren’t crowded with hordes of people. These beaches will make you feel like you have truly escaped. Koh Lipe isn’t the easiest island in Thailand to get to, but it is worth the journey. This is an island that isn’t overrun by tourists. In fact, there isn’t even a 7-11. Sunrise Beach was by far my favorite Thailand beach. 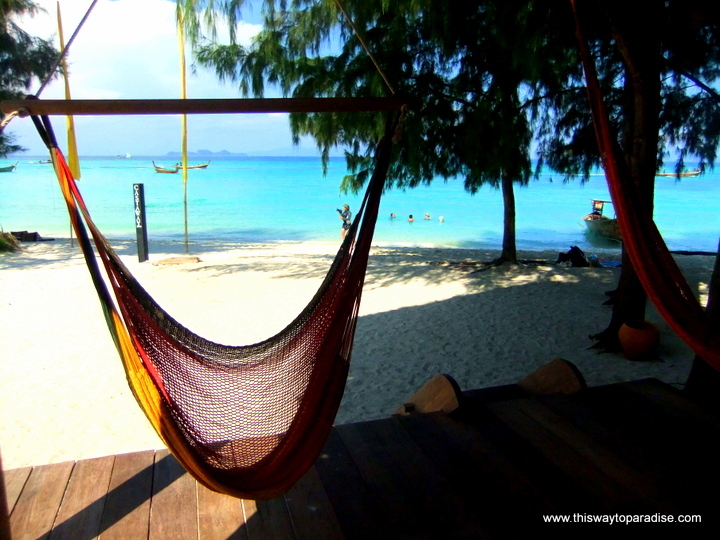 I stayed at the Castaway Resort and loved lazing in my hammock just steps from the water. My bed was on the second floor of the bungalow and watching the sunrise from bed was the perfect start to the mornings. This beach has clear, calm waters, great snorkeling, and was the first beach I actually cried at having to leave. 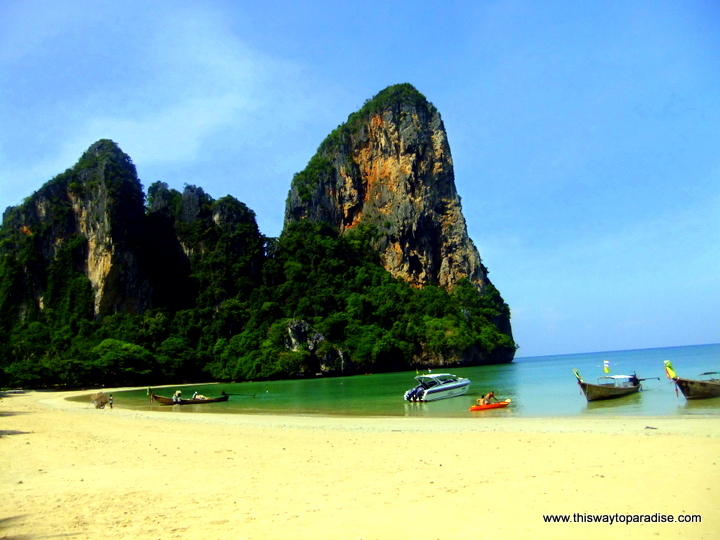 Railay Beach was absolutely stunning with its towering cliffs, emerald-green water, and relaxed atmosphere. I loved watching all the rock climbers climb the limestone cliffs. You can also hike to a beautiful hidden lagoon from this beach that is just pure magic. Being on the Andaman Sea, the water is warm and the sand is fine and soft. 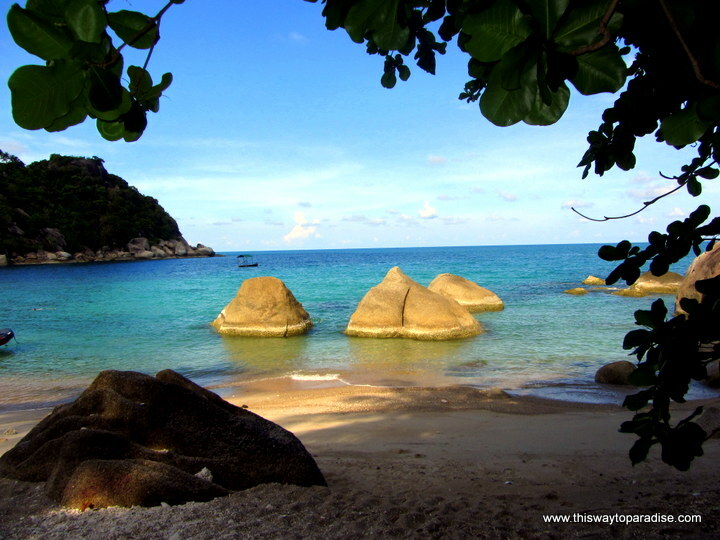 Haad Tien Bay is the perfect picture of tranquility. I spent entire days here just staring at the sea and listening to myself breathe. While the sand isn’t the softest, the peace you feel here is the reason to go. This is also where the Sanctuary Resort is located, and the food in the restaurant that overlooks the bay is some of the best in Thailand. Don’t miss the delicious green smoothies or the smiles of the people who work here. Have you discovered a beach that you love in Thailand? Please comment below and let us all know! Headed to Bangkok on your way to the beaches? Check out this Guide: 101 Things To Do In Bangkok! Beautiful! You seem to have found some of the most beautiful, hidden and tucked away spots – that are still accessible and in close proximity to everything you could need! Perfection! We’re going to Thailand in November! I cannot wait for the amazing beaches. We’re going to Koh Saumi. Have you been there? Any recommendations? Honestly, Koh Samui was my least favorite island…it was the most touristy. I’d recommend taking the boat over to Koh Pha Ngan which isn’t so touristed. Ocean 11 on Koh Samui is a great restaurant, though as is The Hut. sawadee ka! i am a huge fan of thailand. my husband and i have spent a month there each winter for many years now. my favorite beach is west railay, early in the morning and at sunset. it’s magic. 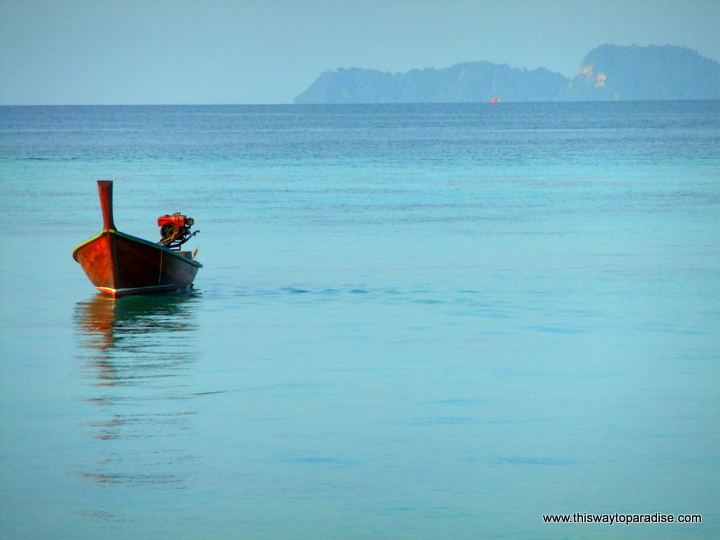 we too love ko lipe and will be returning there again this winter, and of course to our beloved railay as well. have you ever done sunset on ko tub? it’s the sandbar island off of railay near ko poda. we rent a longtail for an afternoon snorkel session, and then stop at ko tub for sunset…and we tend to have it all to ourselves by then. once the sun has set the most magical thing happens…giant fruits bats start streaming off the backside of ko poda, heading to the mainland to eat for the night. it’s just beautiful to watch. once it’s totally dark we head to our longtail and have the boatman take us to the darkest spot behind some of those limestone karst islands that dot the sea on the way back to railay. we put on our masks and jump in and it’s phosphorescence everywhere…it’s like something out of movie. happy trails!!!! I didn’t go to Ko Tub…sounds awesome…I did swim with the phosphorescence…one of the highlights of my life!! We’re visiting the Thai islands in December and were thinking of heading straight to Khao Lak on the Western side, do you have any other recommendations? The ones that I wrote about were my favorites!! Phi Phi Island is a fun (touristy, but fun island to visit as well)…Enjoy!! These beaches are beautiful for sure, but being able to sit on the beach and listen to myself breath would be so worth the entire trip. Loved this post and the beautiful pictures too! my friends and i have been going to Thailand for many years and the beast place we have been is Koh Phangan the beaches and island are out of this world there’s busy ones and one’s you have all to yourself and yes you can hear yourself breath The people on this island are just like the people All over Thailand wonderfull pleasant and All have the smile in there faces no matter what the food here is as good as you will get anywhere in THAILAND THERE’S ALSO PHI PHI KRABI PHUKET bUT IF YOU WANT TO SEE tHAILAND TRY THE INTERIOR kANCHANABURI PRETCHBURN SUKOTHAI AND MANY MORE PLACES TOO MANY TO LIST i’m sure you will find your little piece of Paradise be it be a beach or even the countryside ENJOY…!! I too loved West Railay beach! I think the secret lagoon you mentioned is part of Tonsai beach, possibly? Both are gorgeous! I also LOVED and have written to death about Klong Nin Beach on Koh Lanta. It is an absolute stunner, and a little different than the normal Thai beaches. Still need to get to more of the Thai islands at some point, there are so many to choose from, but when you find a good one it’s hard to pull yourself away! I was on Koh Lanta for a week and the beaches there were very special. Railay was lovely as well. I thought it was a lot nicer than Tonsia.